BetterPlace has launched their first blue collar workforce report along with the prediction that the segment would see 20 lakh jobs over the next six months. 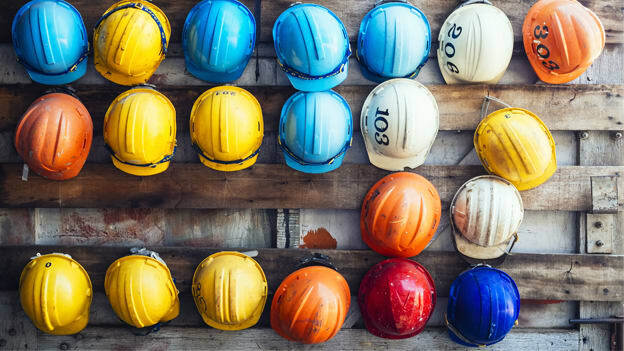 BetterPlace, an Indian technology platform company, has launched their first workforce report on blue-collar workers in India. The report is based on data pooled in from a sample of 2 lakh people employed across more than 500 companies and projects 20 lakh jobs in the next 6 months. The study also notes that the roles of delivery executives and drivers would be the highest in demand. It also predicts the emergence of tier 2 cities like Vishakapatnam, Ahmedabad and Kanchipuram as job hubs. The report also provides a glimpse into migration trends, aspirations, salary trends and job projections. The regions focused on in the study are NCR (31%) and Bengaluru (40%) since these locations witness high migration numbers. The 450 Mn segment includes roles such as drivers, security guards, logistics, facilities management, construction, manufacturing, domestic workers, maintenance, retail and on demand services that currently form the backbone of the economy powering both services and entrepreneurship. The macro trends witnessed in the study include massive migration from villages to the large city centres, the trends of individuals migrating at a very young age, and high aspirations that range from vehicles to smartphones to insurance. 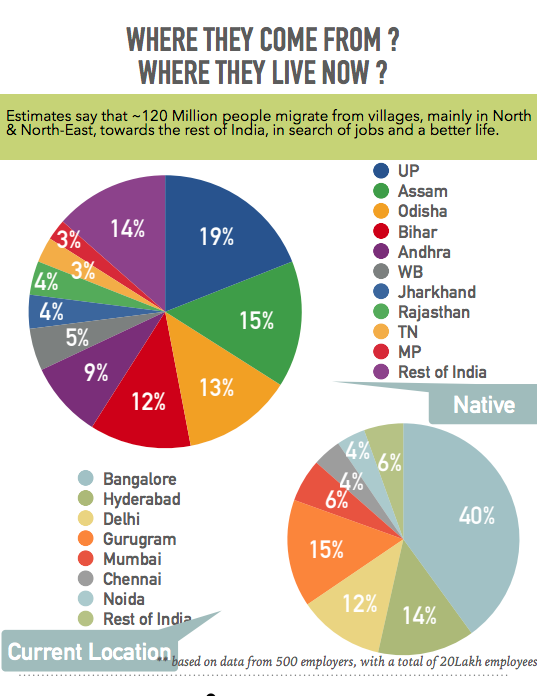 Migration trends indicate that 120 million people migrate from villages in North and North East India in search of jobs. UP tops the migration chart with 19% of workforce migrating, followed by Assam at 15%, Bihar with 12%, Andhra at 14% and Odisha at 13%. Pravin Agarwala, Co-Founder & CEO at the BetterPlaceis of the opinion that, "Enabling jobs at the source location will be the right long term solution, but as an immediate action, recognising the very fact that a large percentage of the workforce in the cities are migratory population is in itself a step in the right direction." He adds that It is in employers' interest to reduce friction and improve engagement at various transition points, so that the attrition rates improve from the current levels of 50-150% depending on the industry. While the report paints a hopeful picture of the job scenario for blue-collar workers, it also raises the question of why they need to migrate in the first place. While they are new job hubs emerging, what also demands attention is the need for creating jobs in areas where people feel the need to leave their hometowns in search of sustenance.